Recommend Explore bigger world BOBOVR Z5 connected with Daydream platform, it is more easy , interesting and economic to experience the VR. Unbelievable adventure 9-axsi IMU of the VR controller can tracking your movements on your hands, use together with BOBOVR Z5 wil make the interactive easier, and more like reality. IPD & Focus Adjustment IPD and Focus can be adjusted to adapt to your eyes. IPD adjustment function enables the distance between the lenses to correctly match every user’s interpupillary distance (the distance between the centers of the pupils in both eyes) to have extended range. Undoubtedly, the ideal solution for glasses wearers would be focus/diopter adjustment, allowing no glasses to be worn, but enabling users to adapt the lenses to their exact vision prescription. Comfortable & Soft Design The selection of baby skin raw materials, the Nordic gray and skeleton design blend together, supplemented by advanced processing technology, to achieve comfort, softness, non-slip, wear-resistant. 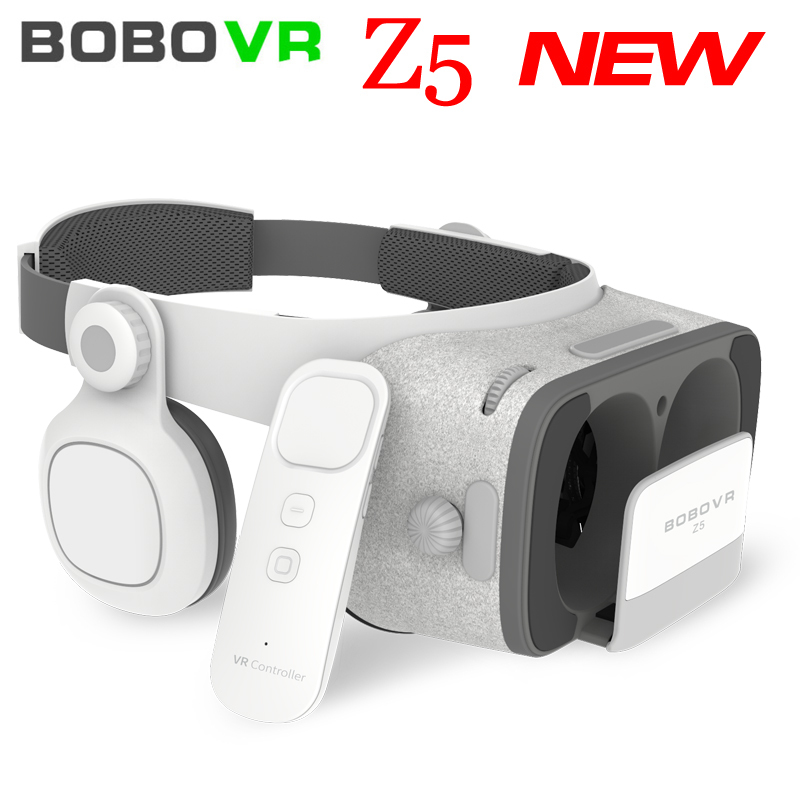 BOBOVR Z5 connected with Daydream platform,it is more interesting and easier to experience the VR. 9-axsi IMU of the VR controller can tracking your movements on your hands, use together with BOBOVR Z5 will make the interactive easier,and more like reality. It is with simple design which can allow you make “confirm”, “back”,“pause”, “volume+/-“ quickly and easily, it can provide you stable tracking movement and humanized experience. Combine modern aesthetics with traditional culture, it is designed with Scandinavia style, which allow it is provided with both beauty and comfort. Z5 is provided with 720° surrounded stereo, it can restore real sound, and the HIFI earflap can isolate the noise. Adapted with PET materials, the diaphragm is designed with 40mm , on the behind, it can make humanized operation, like volume adjustment, pause/play. Anti-distorted arc correction technology makes 120° big view more real and clear, 42mm aspheric lenses is a perfect match with 0.39mm color difference. We have added tactile modules to the Chinese Continental version of the Z5, with 6 separate tactile devices in the head loop, and when you use Z5 to play movies or games, you can also feel some tactile changes (need content support)..
6 of tactile devices are distributed in the head ring, they cooperate with each other, the division of labor is clear, the weight is different. tWhether you\’re hit or early warning, you know which direction the enemy is, and it also strengthens the Z5 bass effect, even in noisy surroundings, still can keep a clear sound effect. After sampling the experience of 2000 Europe and America groups, you can adjust Z5 \’s headphones freely according to your own situation.. This light Z5 also carried out the weight ratio improvement again, long time wear, will greatly reduce the head fatigue. You can adjust the tightness of the head ring freely, shaking your head as you want, no need worry about falling, protect the cell phone security.